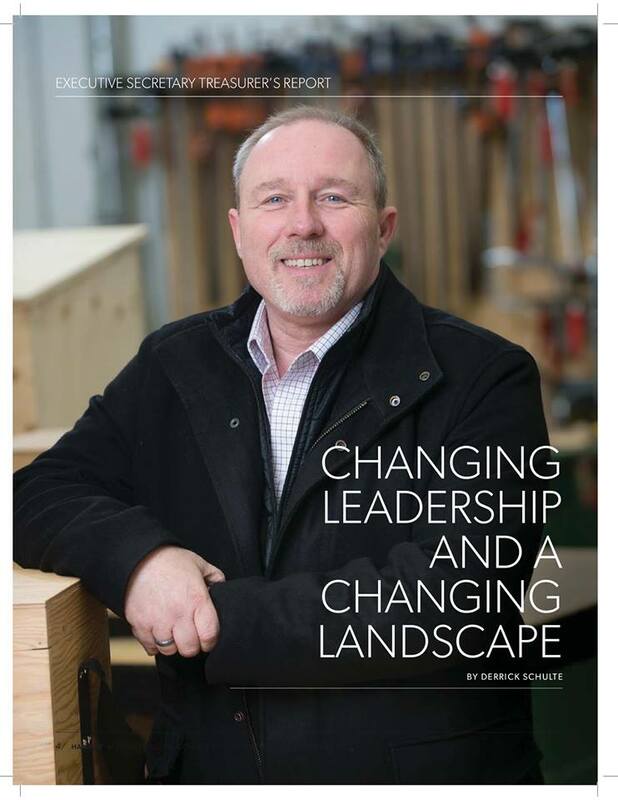 Since I have accepted the appointment to Executive Secretary Treasurer (EST) of the Alberta Regional Council of Carpenters and Allied Workers the landscape of the province has changed significantly. New labour legislation introduced by the Alberta government in September of 2017 has resulted in numerous successful organizing campaigns: Kiewet, Studon Industrial, Clearstream Energy, Cart Construction, GN Fabrications, ICON Construction, among others, and there are more yet to come. ICON was an application with over 90% support which resulted in an automatic certification that did not require the folks who signed cards to vote. With favourable labour legislation finally in place, the time to organize is now. I have been hearing that members are reluctant to come forward and report working non-union – but in order to grow our contractor base we need you to do so. Please contact our organizers and let them know where you are working so we can organize that non-union company and grow our work opportunities. For north of Ponoka, e-mail rcarlson@albertacarpenters.com, and for south please e-mail pzarbatany@albertacarpenters.com. For those who don’t know me well, I’m a thirty year member of the UBC in Alberta. I’ve worked on the tools and served as your Senior Business Agent and Dispatcher. It’s only been a few months since I accepted the appointment to Executive Secretary Treasurer but already a lot has happened. We are making headway and I’m excited about the future. Alberta’s economy is rebounding and beginning to diversify but not enough of the benefit is going to working families. I believe that unions like ours need to fight to protect the middle class. Our members are well trained and we deliver the best product safely – period. Non-union and CLAC projects can often come in late and over budget. We offer quality work in return for jobs that support families – and we want to continue to do that. It’s never been more true that a strong union means a strong middle class and that means a strong economy. We need to fight together to make this happen. That’s why as the new EST I’d like to hear directly from you. Email me anytime at dschulte@albertacarpenters.com. We are already transitioning to new technology and new ways of member to member communication. To start, we worked long hours with a team of comms experts from Stratcom Communications to set up the very first union-wide Telephone Town Hall in Alberta. Check out the podcast here. With something close to 2,000 union members participating, it’s safe to say that the meeting was a good start to building strength and solidarity moving forward. We will continue to use this tool throughout the year – watch this site and our email newsletters for the next town hall meeting. In addition we are working diligently to introduce a membership forum on this website, texting services to report working non-union and to generate organizing leads, as well as the development of a dispatch “app” for IoS and Android cell phones so that out-of-work members can automatically get job board notifications they are qualified for along with upcoming ticket and training information. This new website is still under development, but will eventually feature a members-only forum, as well as the ability for individual members to blog about their jobsite, work, training, and life experiences. This new website is for all of us to come together and grow as tradesmen and women, as union members, and as people. I’m very excited to continue to change the culture of our union to better build our sense of solidarity and community. The Valley Line LRT project is moving along very well. Our members continue to demonstrate that the skills and work ethic they provide truly is the most productive. I have toured the sites along the route, including the many bridges and elevated platforms under construction. Our members working on these sites are making us look good. The site that American Bridge is completing for the river crossing is also moving along very nicely. I am proud to report the members of the UBC are on those jobs and the Valley Line will be completed on time. For too long, unions have been portrayed as the reason projects are delayed and way over budget. The construction of the Walterdale Bridge, which was only partially completed two years late, is a monumental example of a non-union project gone awry. In Calgary, the organizing drive of Kiewit on the ring road construction means an enormous opportunity for union formwork carpenters to show a normally non-union contractor what we can offer in terms of productivity, training, and safety. Again, we want this project to be on time and under budget. If you are local to Calgary and help us make this project a success, email a resume to pzarbatany@albertacarpenters.com. It’s no coincidence UBC members were not on any of these bridge and other LRT projects. Clearly, the process to award projects in our cities needs to change. I had the opportunity to meet recently with Edmonton City Councillor Aaron Paquette to talk about procurement issues and the idea of a “fair” or “prevailing” wage on municipal infrastructure so our contractors have an even playing field. I will be continuing these discussions with friendly city council members in Calgary, Red Deer, Fort McMurray and wherever we have allies in governance. The next year will hold serious challenges for us that will require every member’s commitment to once again demonstrate skills and professionalism on and off the job. We will continue to demonstrate our ability to build the projects within the province that make everyday life easier for commuters, and we will work hard to grow opportunities in upcoming commercial and institutional projects such as new schools, hospitals and office towers with our signatory contractors. Next year, 2019, will define the province. Not only will we be in collective bargaining, we will see a provincial election as well. These two things will require each and every member’s attention and support if we are to retain our wages and standards. I thank you for all the support that I have received through telephone calls and e-mails, and from those who have spoken with me at meetings across the province. Members are my first priority and I am committed to increasing our union’s ability to represent the membership in a way that is in keeping with technological advances. As always, I am available to speak about your concerns. The quickest way to get in touch is at dschulte@albertacarpenters.com.